color which looks perfect on popcorn. after coating with the candy syrup, are baked in an oven to crisp the mixture. continuously till to melt completely. consistency add pinch of salt and condense milk and mix it. is ready switch off the flame. in sauce and mix it for smooth consistency. 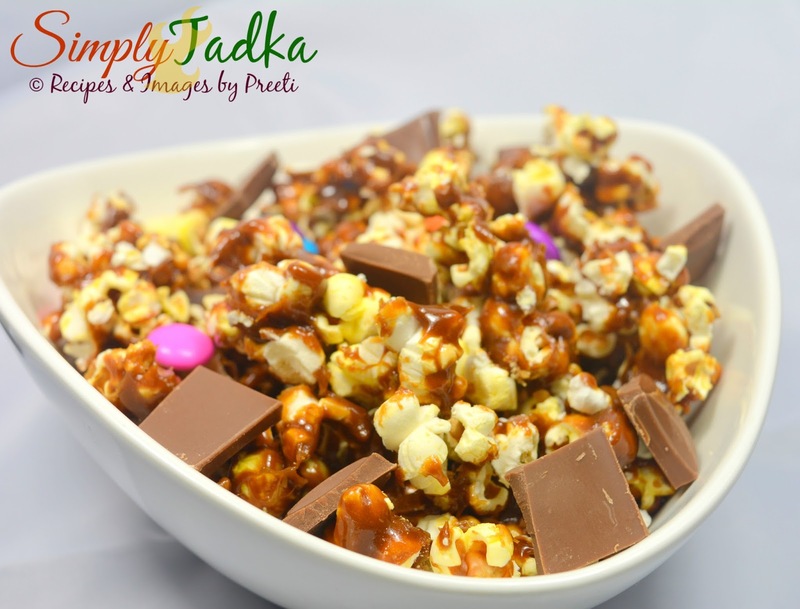 Serve caramel popcorn in bowl with chocolate pieces and gems. 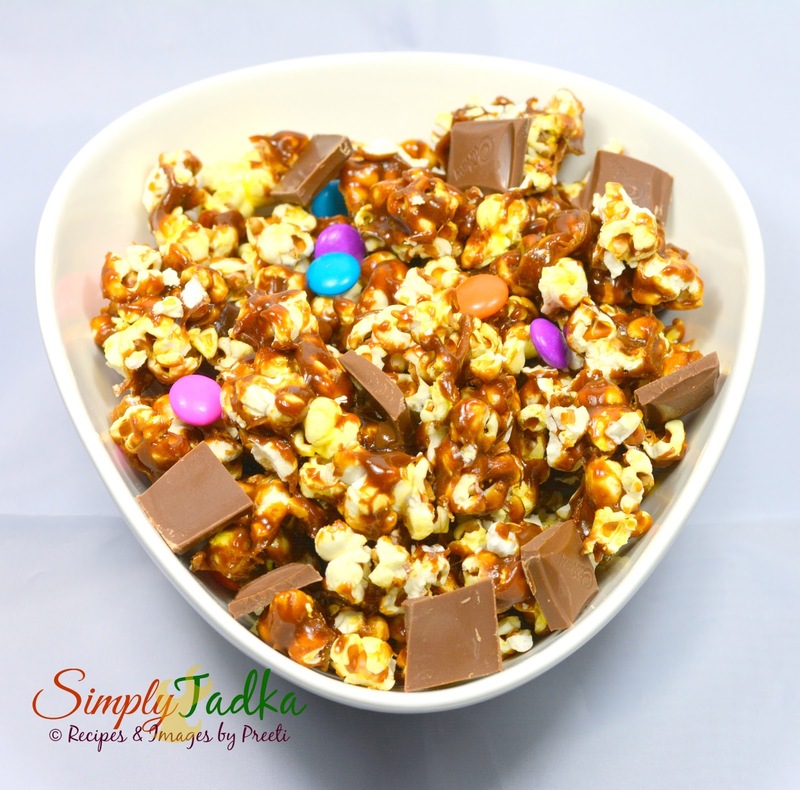 The salted caramel is my favourite flavour with popcorns , I am drooling over this treat , adding chocolate pieces and gems makes it more sinful . Super ! I prefer the sweet popcorn than the salted one. Adding chocolate makes them so delicious. Such an addictive and delicious looking popcorn. Omg, i want this popcorns so tempting and am literally drooling over that bowl. 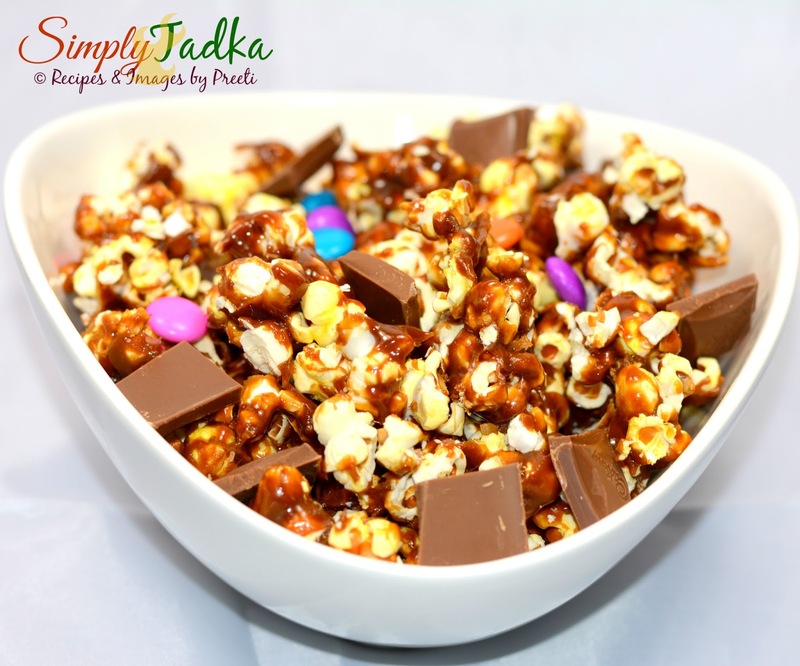 These caramel coated popcorns look so tempting.. I can munch on these popcorn all day long. Looks wonderful! Delicious! Yumm treat and a lovely gift during festive seasons!